Cheap return flights from London to Australia or New Zealand £462! 4* Oman Air with its main hub in Muscat International Airport is flag carrier of Sultanate of Oman. They are running new promotional sale for next travel period. This time you may consider to book discounted flights from Milan to Asia as well as Africa. You can fly to New Delhi, Mumbai, Bangkok, Nairobi, Sri Lanka, Tanzania, or Nepal from €276! All charges and 30kg checked luggage are included in base fare..You may also consider to fly to another destinations in scope of this carrier such as Nairobi, Zanzibar, Dar es Salaam, Kuala Lumpur, Jakarta, Singapore, Guangzhou or Bangkok. Fans of a multi-city flights have also good option to visit another culture during their trip as Oman Air offers free stop-over in Muscat. This latest Oman Air promo sale from Europe to below listed destinations is running till 20th of January or until the cheapest tariff is sold out. We have managed to find the cheapest flights from 24th of February to 24th of June or 29th of August to 30th of September 2019. Blackout period around Christmas or Easter Holidays. Based on latest day of your outbound flight to Asia. Max stay 1 month. Travel dates vary by destination. You can simply check your options directly at Oman Air website as they allow to show week´s view. 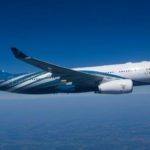 Booking sample of latest Oman Air promo sale: up to 25% discount on selected flights! In this case you would depart from Milan to New Delhi on 3rd of May. You would return from Asia back to Europe on 17th of May 2019.